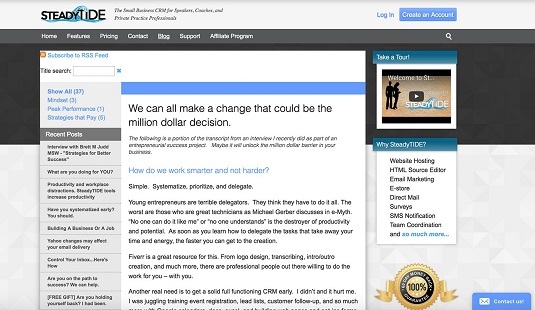 Your CRM can help you avoid content saturation. Writing a lot of content isn’t enough. It has to be relevant and useful. Every day, people and companies are posting more content, and it’s hard to stand out. To be successful, you must cut through the noise. Be clear who you are writing your content for. Remember to take the time to look at your market segments and understand what they want. If you’re solving a problem that is specific to a market segment, it’s much more likely to be read than something directed at all of humanity. For example, content you publish on LinkedIn would be different than content you publish on Facebook. Solve one problem at a time. People have short attention spans. If you can’t summarize your content into a short paragraph, consider breaking it into different pieces. Your readers are more likely to absorb and remember the message you’re sending if that message is simple and of singular purpose. Be relevant. Most important is being relevant. Because there is so much content available to everyone all the time, anything you create must have meaning for the recipient. Before you publish, think carefully about the value you are providing. There are a few questions that you can ask before you click Send or Post. Does it really help? Does it support your brand? Is it in the right voice? Will people care about this? 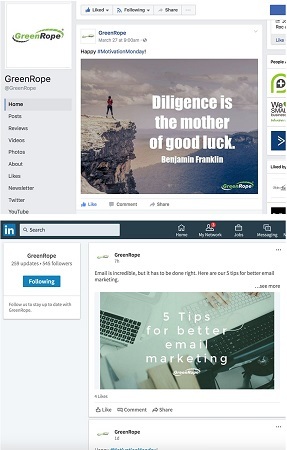 Content you publish on LinkedIn (bottom) has a different style and voice than the content on other social media (top). Sometimes you have an opportunity to communicate with your market in extraordinary times. When you can capitalize on trends, recent news, or new developments, strike while the iron is hot. People respond to emotionally driven concepts, so if you can take advantage of current events, you can capitalize on those emotions and drive engagement. Look at the image below to see one part of a multi-channel approach to marketing. The founder of the company was interviewed, and a blog was published about the interview afterward. Having timely content posted captures more mindshare when shared across channels. This post was written after the company founder was interviewed. Be careful getting too close to an emotional issue and picking a side that could offend a large segment of your market. Leverage the emotion to get engagement with your brand, but avoid creating enemies. You also want to be careful of newsjacking, writing content about your business using common keywords and hashtags related to significant current events. You may get visibility, but you may also create negative sentiment around your brand.